The American Dental Association estimates that a third of all dental injuries are sports related. Mouthguards can prevent these dental injuries and, at Larchmont Family Dental, Dr. Avi Malkis offers custom-made sports guards that protect your mouth and teeth. 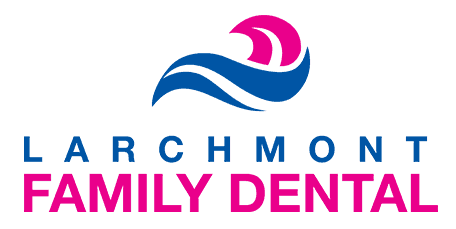 If you are a patient in the Westchester County of New York, including Larchmont, Mamaroneck, Harrison, and New Rochelle, New York looking to get fitted for a mouth guard, call the office or book an appointment online. How do you prevent sports injuries to the mouth? In addition to these sports, some non-contact sports or recreational activities, such as rollerblading or skateboarding, can result in mouth injuries. A sports guard can be a good idea for these activities, particularly for beginners. What kinds of injuries do mouthguards prevent? Cracks in the teeth usually start at the top of the tooth and move down. Cracked teeth can be caused by blows to the mouth, grinding, clenching, or uneven chewing pressure. Sometimes a crack begins in the tooth root and goes up towards the surface. Fractured roots can be invisible, and are often only discovered when an infection develops. This is when teeth are pushed back into the jawbone. It’s more common in children because their bones are not as strong as adults'. Why is a night guard used? Night guards help protect your teeth from grinding while you sleep. Grinding leads to your teeth breaking down and also TMJ pain. Temporomandibular disorder (TMD) is a condition that can cause chronic jaw pain (TMJ pain), a popping or clicking noise, muscle soreness, headaches, broken teeth, and earaches. Why should I get a custom-made mouthguard? Custom-made mouthguards are more comfortable than the one-size-fits-all mouth guards or the boil-and-bite mouthguards you can buy at the store. With a custom-made mouthguard, Dr. Malkis can get you fitted to make sure that it doesn’t affect your breathing or speech. If you wear braces or have a dental bridge, a custom-made mouthguard can be particularly useful for preventing injuries to the gums and cheeks. To get a custom-made mouthguard, schedule an appointment with Dr. Malkis, and he can discuss your particular situation. Whether you need a sports guard for football or a night guard for grinding or TMD, Dr. Malkis can find the right fit for you. To get started, call the office or book an appointment online.